Alexandria Funeral Home April 17, 7 p.m.
Imogene Jenkins Wise (nee Rose), age 81, of Cold Spring, KY (formerly of Falmouth, KY) passed away on Thursday, April 12, 2018 at Highlandspring of Ft. Thomas. 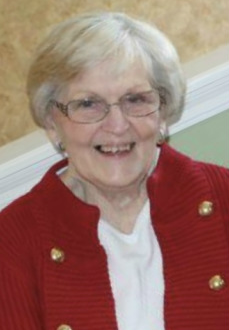 Imogene was a longtime member of Turner Ridge Baptist Church in Falmouth. She is preceded in death by her parents, George Rose and Ella Frances Rose Hoggatt (nee Adams). She is survived by her children, Peggy (Steve) Craig, Ricky (Tammy) Jenkins, Rosann (Tom Lutkenhoff) Jenkins, and Steven (Rebecca) Jenkins; 9 grandchildren, 9 great-grandchildren, and 1 great-great-grandchild. Visitation will be held at the Alexandria Funeral Home on Tuesday, April 17th from 5PM to 7PM with the Funeral Service immediately following at 7PM. Burial will be on Wednesday, April 18th at 10 am in the Turner Ridge Cemetery, Falmouth, KY. Memorial donations are suggested to: The Turner Ridge Baptist Church, 60 McGraw Rd, Falmouth, KY 41040 or The Muscular Dystrophy Association, 1080 Nimitzview Drive #208, Cincinnati, OH 45230.